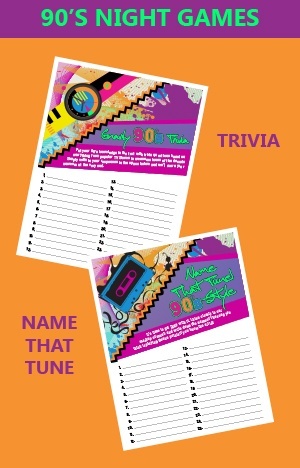 Challenge students to see who knows the 90’s best with our two fun options! Gnarly 90’s Trivia consists of 25 questions that cover everything from pop culture phrases to the totally rad television shows of the decade. Name That Tune, however, features favorite hit songs by prompting students to guess the name of each one based on just a small sound bite. Best of all, we’ve taken care of everything for you! Click the image below to download the questions and play list, as well as response forms you can give to attendees. Don’t forget to distribute some dope prizes, too. Think gift bags filled with 90’s compilation CD’s, Jelly Roll pens, slap bracelets or sweet treats like Warheads, Gushers, Bubble Tape and Push Pops! Need more ideas? Check out this list. Remember the Macarena? As far as dance crazes go, it verged on phenomenon status, with people of all ages blaring it from their boom box and jumping at 180 degree angles for months on end. Everyone’s still-favorite party dance can be a major highlight of the night’s activities. Set up an area where people can compete to see who has the best Macarena moves, by speeding the song up and slowing it down at random intervals until some players just can’t keep up anymore! Or, allow attendees to throw in other 90’s style moves like break dancing and the tootsie roll, then have the crowd judge based on applause. A 90’s Night wouldn’t be complete without some serious jams. 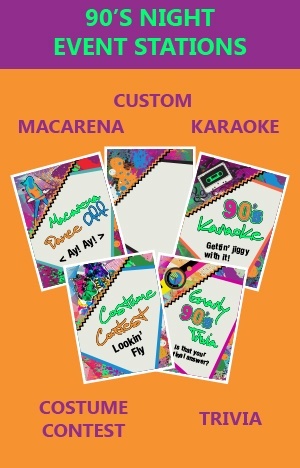 Invite students to sing their favorites during an all-90’s Karaoke session in your store! We’ve come up with a list of songs you can offer, and it’s basically the bomb. No diggity! One thing is for sure – the 90’s were full of characters. Encourage students to come dressed up as their favorite to add to the ambiance. Here’s a list of suggestions you can provide, in case they’re going ballistic trying to decide. Paper Fortune Tellers were all the rage in elementary schools across the country during the 90’s. And for good reason; is there any better feeling than hearing that your future held a marriage between you and Leonardo DiCaprio? As if! Set up an area where students can take a trip down memory lane by creating these nostalgic items, or even settle down for a good ol’ round of MASH. All you have to do is supply some sheets of paper, markers and some directions, which can be downloaded here. TV programming has never been sweeter than in the 90’s. For an easy activity that will draw a lot of attention, just set up an old school TV and play the classics. If you don’t actually own any of them on DVD (or VHS), then you’ll probably find them on Netflix. We’ve compiled a list of must-sees to make your job easy. Before the days of smart phones and tablets, kids played board games. And the 90’s stretched the definition of a board to the limit with hippos eating marbles and talking mall managers. Round up some favorites and set up a table or two for students to play. Some awesome options include Gator Golf, Where in the World is Carmen SanDiego, Mall Madness, Bop It, Skip It, Dream Phone, Crossfire, Pretty, Pretty Princess, Thin Ice, Don’t Wake Daddy, Hungry, Hungry Hippos, Jumanji and more! Don’t forget to get your fans involved in the fun, too! Every 90’s kid has some mega embarrassing outfits captured on film. Ask students to post their best “Throwback Thursday” pic on your store’s Facebook page, or on Instagram and Twitter using a specific hashtag. Have students vote for the songs that will make up the 90’s Night playlist. You could post options or leave it open-ended. 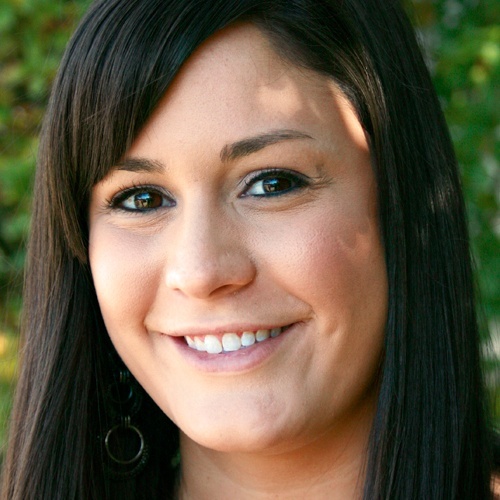 Get students talking with some fun Facebook and Twitter prompts. We’ve come up with a whole list so all you have to do is copy and paste! If you don’t want to narrow down the activities available, but are worried some might get more traffic than others, consider using this strategy to spread out the crowd. To start, use our customizable station signs to designate different areas for each activity. We’ve made a few that correspond to the activities above, plus a blank template for you to create your own. Then, hand students a sheet that lists each station as they walk in the door. For each completed activity, have staff members place a Lisa Frank sticker on their paper. At the end of the night, you can collect the papers and choose to enter only those who earned all of their stickers into a drawing for a large prize, or provide a raffle ticket for each sticker earned, which can then be used to enter smaller drawings for designated 90’s prizes. Print out pictures of toys and trinkets from the decade to spruce up your walls. Think Beanie Babies, Tamagotchis, Walkmans, Troll Dolls; you name it. That’s the good thing about the 90s: there’s a ton to choose from. Don’t forget about popular movies and boy bands, either. On top of those basic décor suggestions, we’ve created an entire Pinterest board packed with ideas just for this event! Take a look for some awesome inspiration! You have all the makings of a totally phat event – now all you have to do is spread the word! Use our customizable materials to get the job done in a snap. 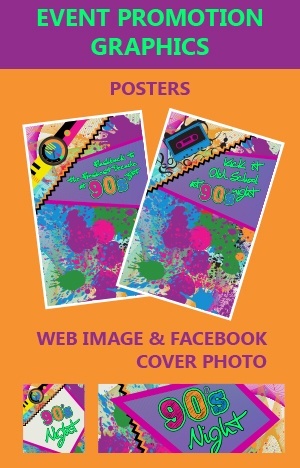 We have two poster options, a web image and a Facebook Cover Photo! Download the complete marketing kit here. After you've done it, please let us know what you thought of 90's Night! Share your opinion of our Marketing Plan in the comments section below, so we can offer even better plans in the future!